This is our photo gallery featuring all kinds and colors of bob hairstyles for women. Includes celebrities with bob hairstyles. Give yourself a feminine and beautiful hairstyle with the bob cut. Popular among women, this haircut is a style which is a straight length all around the head at about the level of the jaw. For a short cut which is easy to maintain, get this cut which suits every face, hair color, and more. If you’re tired of long hair and blow drying for hours a week, a straight cut all around the jawline might be just what you need. Smooth, soft texture and even length across the bottom of this style helps keep it sleek and clean. Try a smoothing pomade to even out the look. Make sure to start working pomade in at the ends of hair rather than at the roots. Cutting the entire style into one length gives a blunt effect, rather than adding lots of layers. The angles help to compliment just about any face shape. This classic silhouette works at a variety of different lengths and with just about any thickness. Rather than chopping fringe across the forehead, the angled bang falls long across the face, and can be swept easily out of the eyes. Try a long angle that fades into the rest of your layers for some drama. A deep side part on one side of the head helps to change up the way your face is framed. The asymmetrical style provides a bit of glamour. You also have the option to tuck it behind an ear if it gets in the way during school or work. Blunt fringe is cut at one length above the eyebrows to frame the face and accentuate facial features. Try this look with fine or thick hair for different variations on the same style. Smoothing pomade can help to prevent fly-aways. Conversely, shaggy fringe is cut to be textured and made up of different lengths. Using a razor to cut the fringe can help add some volume and a playful spin. The best part is that you can’t mess it up. The wedge, or inverted bob is a classic style that leaves the front pieces of hair longer than the back. A straight line is created along the jaw, and the back can be stacked as short as the wearer pleases. The wedge bob works with all different colors, textures, and thicknesses. Try pinning the front of your bob back behind the ears for added sophistication. Using bobby pins, barrettes, or other clips adds interest. The beach bob is characterized by waves. Salt spray can help to add texture and decrease the amount of oil near roots so that hair can appear more whimsical. Try taking your bob platinum or white-blonde for a change to your whole look. Consult a professional, particularly if your natural hair is a dark shade. The blown-out bob is created with a round brush, blow dryer, and diffuser. Use the diffuser to focus heat on a particular part of hair at a time. Smooth the texture with the round brush and add volume simultaneously. Consider using serum after applying heat to preserve hair’s health. The cropped bob is cut slightly shorter than the jawbone in a straight line from front of face to back of the head. Keeping a shorter length evokes a different look. The back can be stacked underneath to enhance the angled effect. Try using a curling wand to create large or small curls around the face for added volume and softness to a classic cut. Gel can help to sweep hair away from the face and allow it to stay slicked back. Try this look for an evening out or a formal occasion. Parting the bob right down the middle adds a slightly more angular, traditional look that works with any hair type. 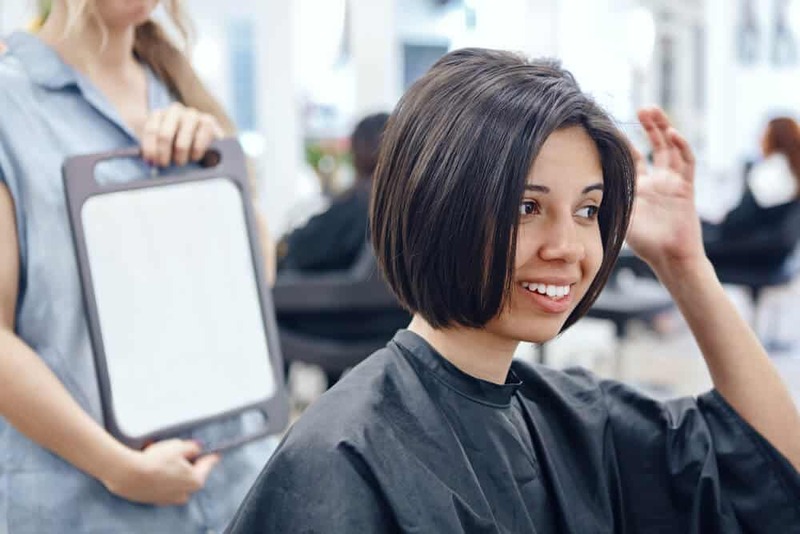 Letting a bob grow to shoulder length and trimming the front and back of the cut to the same length allows for a traditional style with slightly more glamour. Similarly, letting an inverted bob grow out allows the front pieces to skim shoulders while the back stays above the neckline. Add some drama with the emphasized angle from front to back. Try letting your naturally colored roots grow out a bit to play with color, rather than hiding them entirely. You might even consider fading the two together for a play on ombre. Try using mousse to scrunch your bob while it dries. The method adds waves and natural texture that will change throughout the day or night. 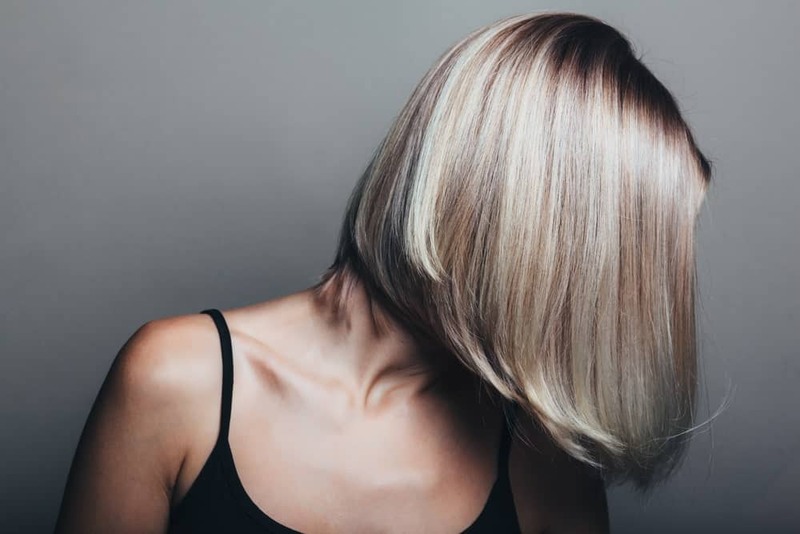 You might consider dyeing your bob a vibrant pink, blue, or purple rather than a more traditional caramel or blonde to change up the look. There are endless shades to pick from, depending on your particular preferences and lifestyle. Try pinning one ringlet curl to a temple on the right or left side of your face to let your bob accentuate your facial features even more. 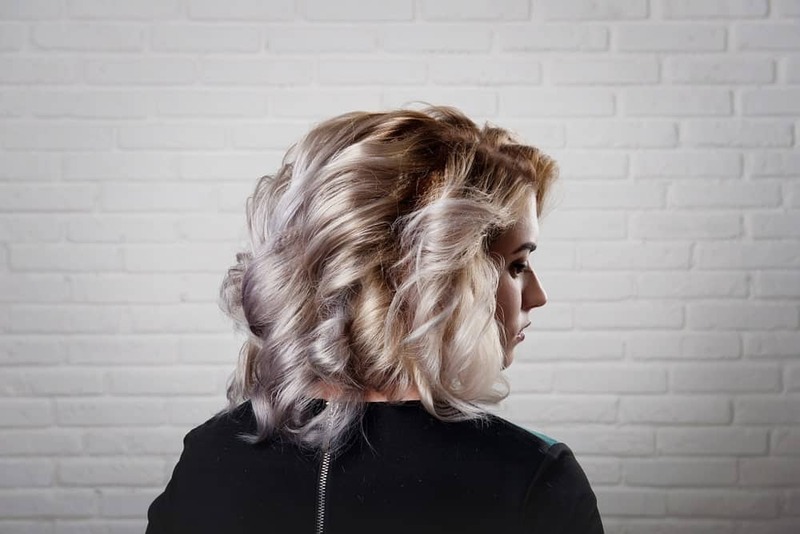 You might even use rag curlers to shape your entire bob into ringlets for a wild, spunky look. 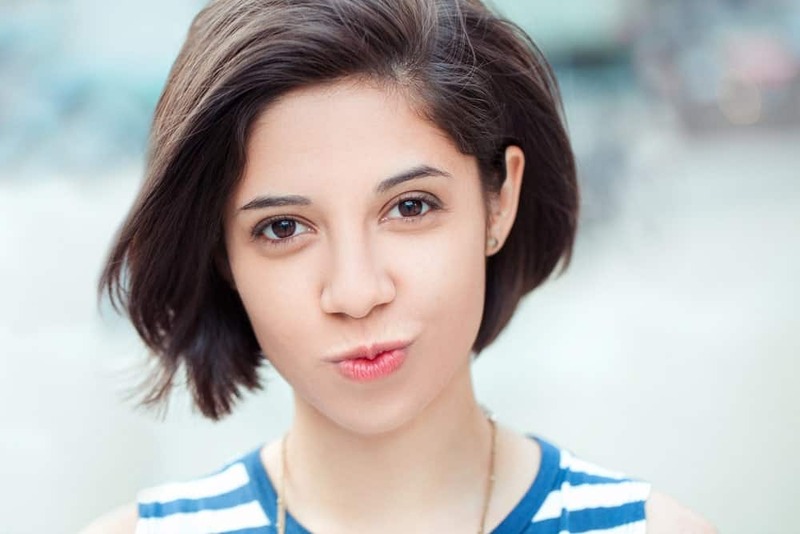 Let the front of your pixie grow out bob-style while the back and sides stay super short. 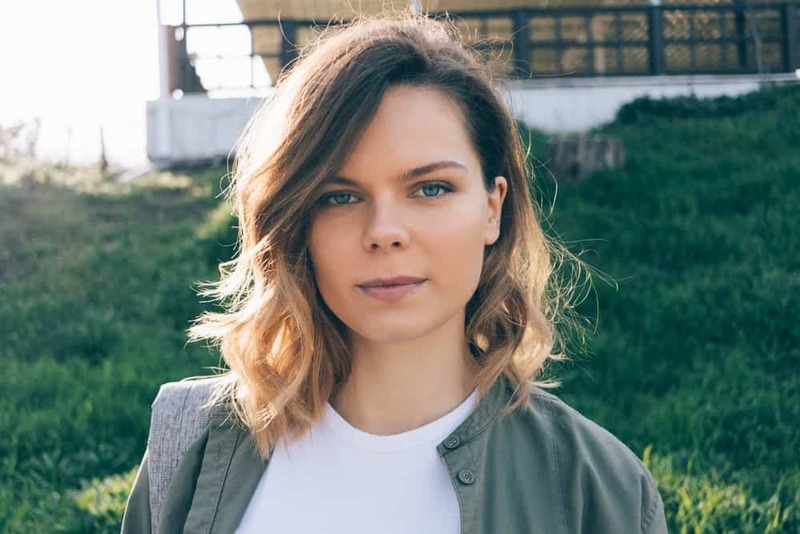 Ask your stylist to cut front layers just a bit shorter than the rest. Pair with blunt fringe for a vintage silhouette. 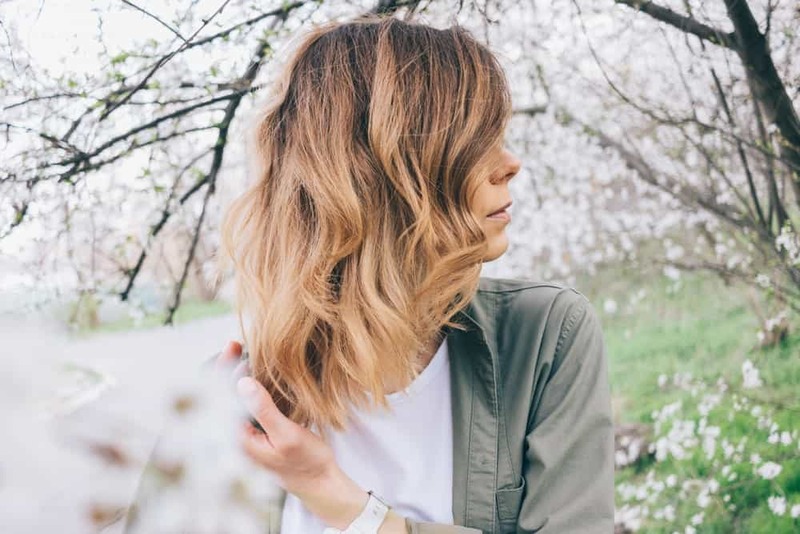 If you have long locks but want to try out the bob look, pin the ends of your hair underneath so that the length mimics that of a bob cut. You may enjoy the style so much that you decide to chop it. After you wet your locks down, apply some pomade to each palm and rub them around in random directions in your hair to create a messy, wild look. 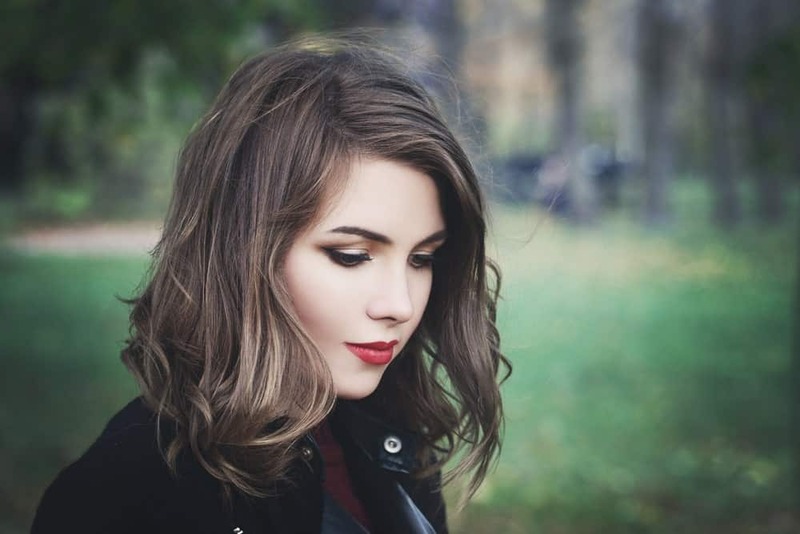 Curled Cuts: While this style may be regularly considered a style for just straight hair, curly hair also looks good with a layered jaw-length cut. Because curls make hair look shorter when dry, a professional hair dresser will cut your bob slightly longer. A-Line Cut: Instead of being the same length all around your jaw, an A-line cut has a blunt edge and is longer in the front of the face. It is an A-line cut because it is similar to the letter ‘A’ with lengthy angles on each side. It angles lower to the front but doesn’t stack on the back. Inverted Cut: At first glance, this style can look like an A-line cut, but it is different due to the stacked layers in the back. Bob with Bangs: Get this elegant cut with bangs if you wish to frame your face well. Soft bangs tend to be more flattering than bangs going straight across the forehead. Bob with layers: Great cut for round or square faces because of the tapering effect. See our bobs with layers gallery for women here. There are also variations on length. Women’s bobs can be to just below the ear, to between the ear and shoulders, and to just above the shoulders. Once you get this haircut, there is one consideration for your new look. This style needs consistent trims which is about every month or so. It is especially apparent in people with straight hair as any missed strand is obvious. As for a daily routine, a bob looks best went blow dried with a round brush. Some women like to use mousse, hair texturizer, and monthly deep conditioning treatments.